Nissan has announced it will introduce an Information and Communication Technology system (ICT) for electric vehicles (EVs). The system will be implemented with the all-new Nissan LEAF, on sale now in Japan and the U.S., and in Europe early next year. ICT will help deliver greater convenience, comfort and security for EVs, as well as provide real-world data that will be important to realizing a low-carbon society in the future. With the ICT system, Nissan LEAF owners are connected at all times to the data and information they need to optimize their EV experience. The NISSAN CARWINGS Data Center, an information control center, communicates with the car navigation system via the onboard Telematics Communication Unit (TCU). 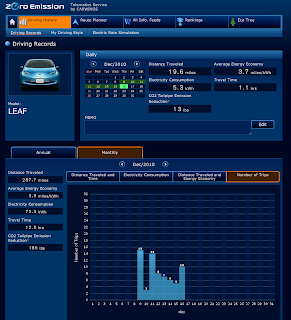 ICT has features unique to EVs, including EV usage history and battery conditions. Remote control for battery charging and climate control also exist. 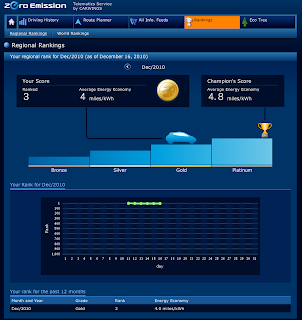 The system can be accessed by a dedicated Website for EV owners, via mobile phones, smart phones and computers to manage energy usage. "Expected reachable area map display" function: checks how far Nissan LEAF will be able to travel … accessible by a single touch of the screen. "Charging spot update" function: automatically updates data to display the nearest charging station. "Timer charging" function: charges the battery anytime one wishes, e.g., late at night when the electricity rate is lower. Remote control function: checks the state of battery charging, controls battery charging, estimates time to finish charging and shows a possible driving range, maintains the battery and makes failure diagnosis. "Remote climate control" function: sets air conditioning via remote control so it can be turned on before one enters the vehicle. 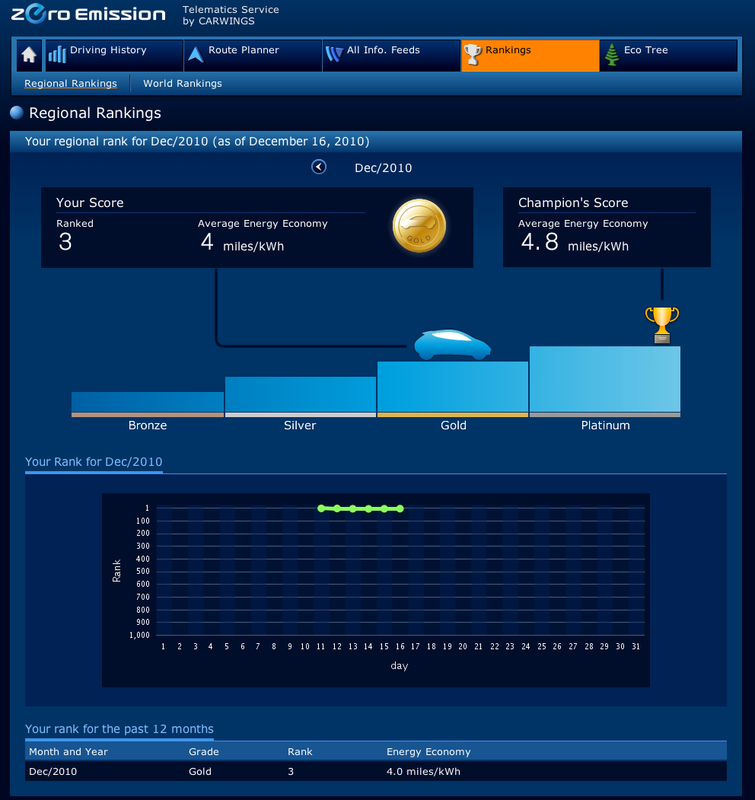 "Electricity rate simulation" function: checks how much it costs for electricity after driving. Calculation function: calculates how much CO2 emissions were reduced by driving EV (predicted rate). "Ranking" function: Nissan LEAF owners worldwide can compete with each other in electricity consumption, traveling distance and the amount of charge produced by regenerative braking. "Route planner" function: Creates a driving plan while checking a possible driving range and charging station locations. Based on the consent of EV owners, the NISSAN CARWINGS Data Center will retain historical driving, charging and electricity consumption information globally. Based on this data, it will analyze EV driving and charging data to measure how much CO2 is reduced through EV use and to evaluate clean energy usage. The ICT system for EV was developed not only to provide driving support for EV owners, but also to contribute to a sustainable zero-emission society in the future. Nissan is working to help realize a sustainable low-carbon society using the ICT system in several demonstration tests. This includes the Yokohama Smart City Project, a low-carbon city project conducted with Yokohama City, and YOKOHAMA Mobility "Project ZERO" which is focused on how to create a smart mobility city. In preparation for wide introduction of renewable energy in the future (for example, solar electric generation at home), EVs may be utilized not only for mobility, but also for energy management, depending on surplus electricity. The EV ICT system has functions which can start charging at times when surplus electricity is most likely to be generated. Working towards being a global zero-emission leader, the Renault-Nissan Alliance has formed partnerships with more than 80 governments, cities and other organizations around the world. Nissan will utilize the data obtained by the demonstration tests in these partner countries and cities to actively participate in the creation of a zero-emission society globally. 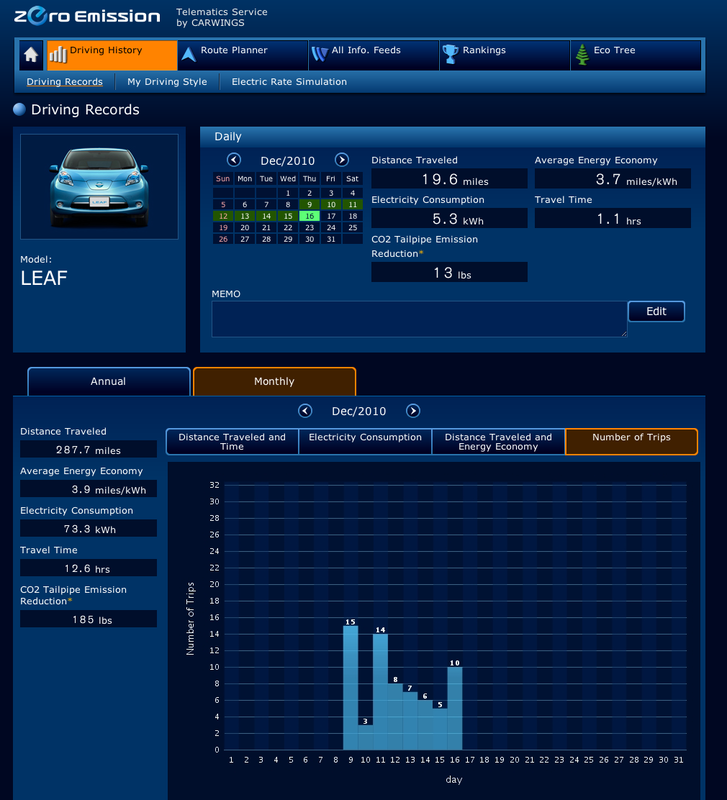 Great option to EV owners of Leaf, now we are able to understand how the our car is functioning, charing level, etc.. but i am little bit upset as this data maintained in the cloud rather than in my car system, which means if their is any security loop hole in their system or any hacker accessed this server then it's make many of the EV owners to cry.